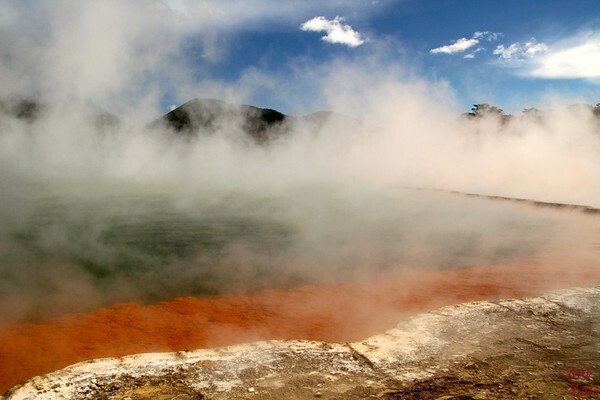 Wai-o-tapu, in the active volcanic area of Rotorua New Zealand, is a park dedicated to showcasing geothermal features. 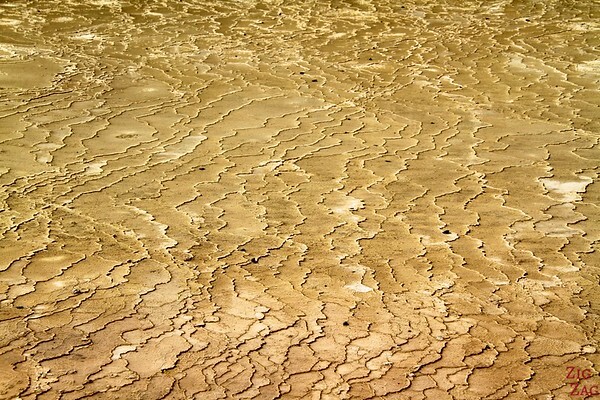 I spotted some of them during my flight in a floatplane… But from the ground I discovered all the details: surprising fluorescent colors, exploding geyser and smelly mud pool, what’s not to love? Wai-o-Tapu is a geothermal park just outside of Rotorua, New Zealand North Island. It includes many features with interesting shapes and very bright colors. If you are in the area it is well worth a stop. 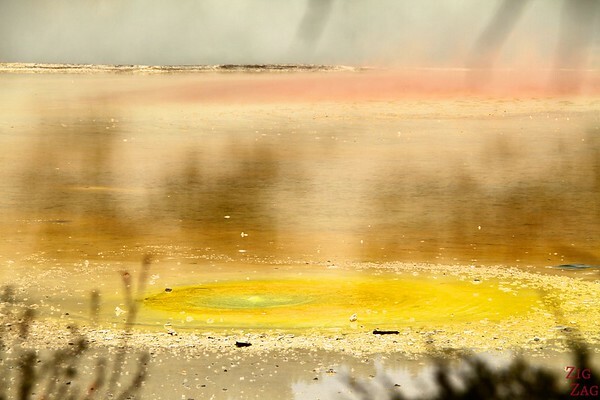 And now have a look at Wai-o-tapu in pictures. Enjoy the beauty without the smell! 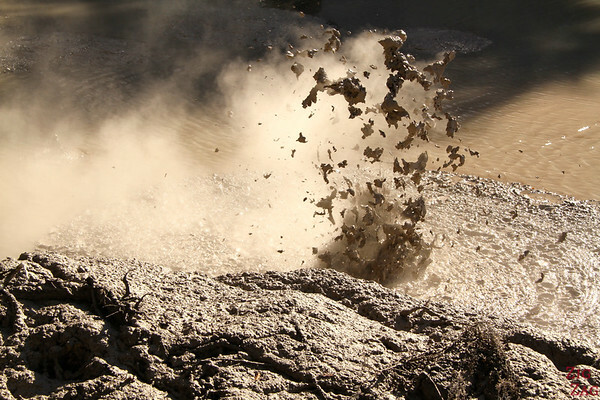 Outside of the geothermal park, you can observe features for free: some fun mud pools and the Lady Knox Geyser. The Lady Knox geyser is a short walk from the parking. They have set up benches for everyone to see. 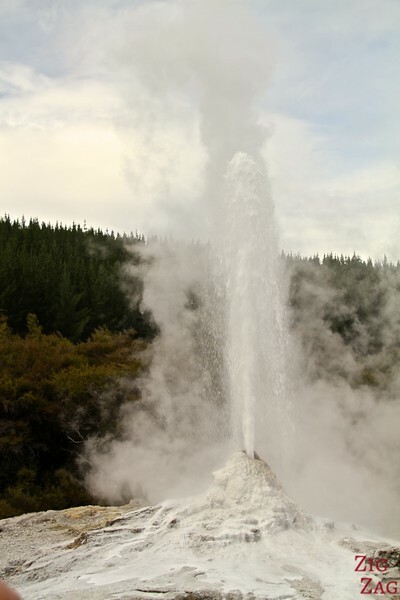 Naturally the geyser would explode everyday but not regularly at the same hour. So they help trigger the event with a natural something, so that everyone can enjoy the phenomenon everyday at 10:15 am. So don't be late! 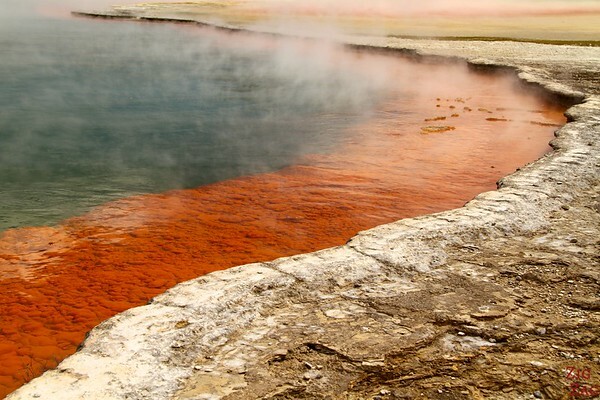 If you like geysers, check out my article on Strokkur in Iceland! 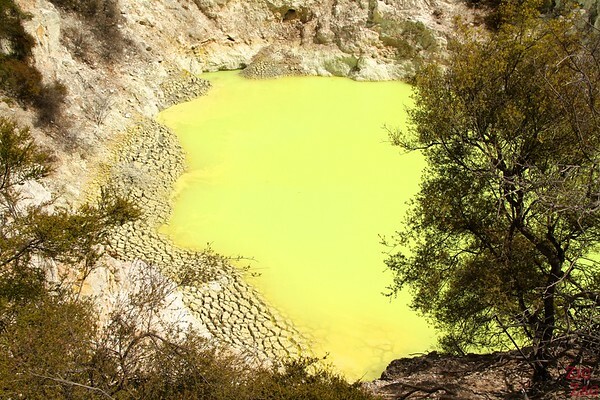 The highlight of Wai-o-tapu geothermal wonderland is the champagne pool and it is not heard to understand it. It is a big pool with nice round shapes and a deep orange color. Fumes are coming and going revealing different parts of the pool. 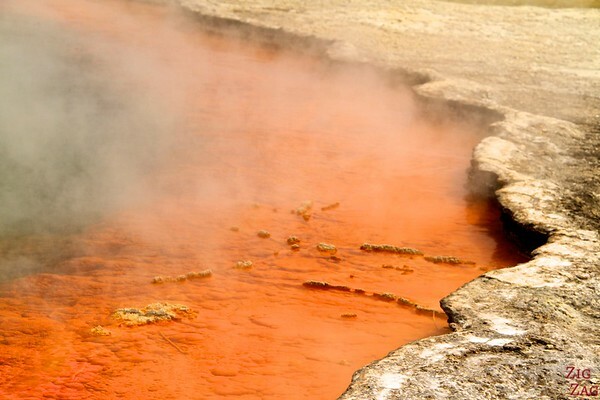 If you like geothermal areas, check out my article on Hverir in Iceland! 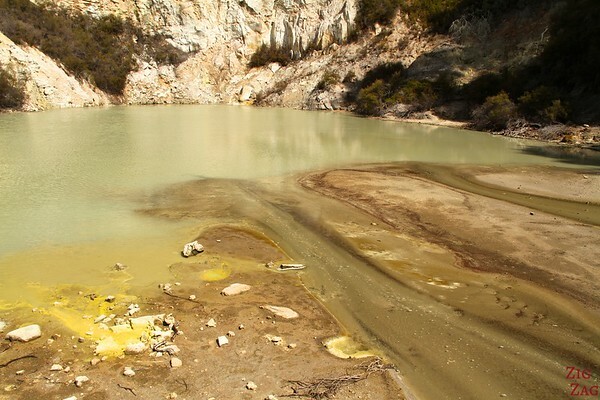 Wai-o-tapu has many other geothermal features apart from the champagne pool. Some are bright yellow or fluorescent green while other are grayish but with interesting shapes. My favorites were the very colorful ones. Very unique place, don’t you think? 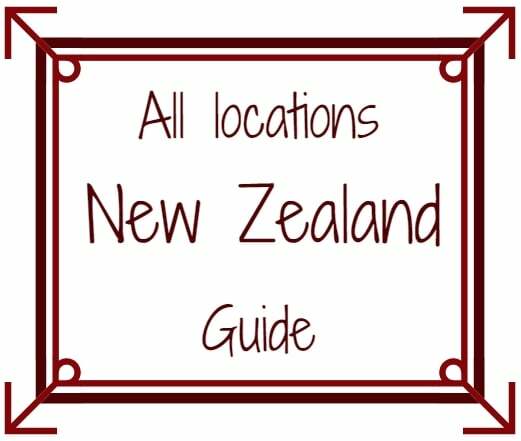 Thanks Claire for sharing your Wai-o-Tapo article and photos. I’m visiting tomorrow and hope to capture some photos as nice as yours.